Non­ male representation on the bill has become necessary in every musical genre. We are proud to announce the launch of a new groundbreaking initiative: “Intersessions: a DJ Workshop for Female, Femme Identifying and Non Binary Individuals”. This new series of artist seminars aims to address the significant gender imbalances in the music industry by offering new DJ workshops for women, girls & non binary folk. 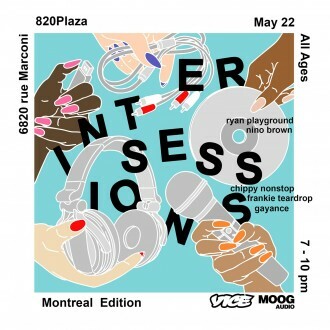 Intersessions is a DJ workshop/seminar created to facilitate/nurture community by promoting safety in sharing a movement towards intersectionality and solidarity. DJing has long been a male­dominated boys club. Non­ male representation on the bill has become necessary in every musical genre. As part of this mandate, they have determined a need for more grass­roots opportunities for these underrepresented groups to become involved with music production and presentation. The team looks forward to bringing up those who have been left out by giving them the opportunity to learn from and connect with strong, successful women/non binary artists and mentors in the music industry. They created Intersession to inspire the next generation of women.